Off to Italy again…a presto! It’s been quite a while since I’ve written about Italy, but it’s a new year, and new adventures are in store as we get ready to attend our first Italian family wedding! My business partner…and second-cousin-once-removed Giulio Tirinelli is marrying the girl of his dreams, Cinzia di Fazio, on May 18. We’re going to the wedding…La Nozze…in Serrone, and my father, John Osenni is coming with us! It’s his first trip to Italy, and only his second trip to Europe, at 85 years young. We’ll visit Piglio, only 5 kilometers from Serrone, where my grandmother Annunziata Grilli grew up, and where many of the descendants of Annuniziata’s sister Francesca–Zia Francesca to my father– still live. He’ll meet lots of family members, and we’re betting that he’ll remember his mother’s language…literally his mother tongue, after a few days among the cousins. The image here will be the backdrop of the “tableau di matrimonio”–an Italian wedding tradition, where cards showing the seating arrangement of “la nozze” will be placed. I’ll keep you posted on the festivities, the food, of course, and on my father’s adventures in his mother’s hometown…stay tuned! Plenty of time to plan for our next Italian adventure. With this year’s great experience under our “berets” we’re ready to organize Discover Ciociaria II (DC II). Staying just outside the beautiful hill town of Serrone at Belsito, Serrone, a hotel/restaurant with swimming pool. We’ll keep you posted, naturally. 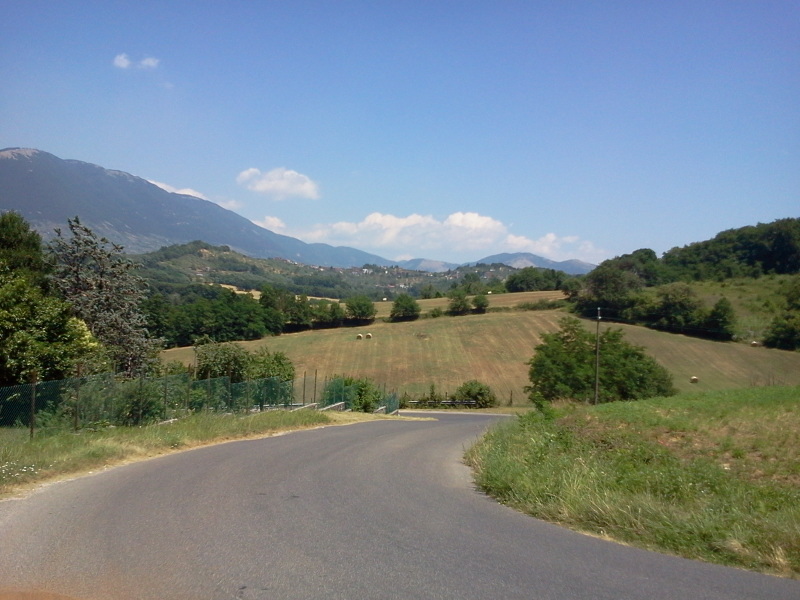 Our aim: to provide our guests with a genuine experience of Italy, off the beaten tourist path. We work with family and friends in Italy to ensure the best possible value for our guests. You’ll feel like you’ve found your Italian home! (I have!) 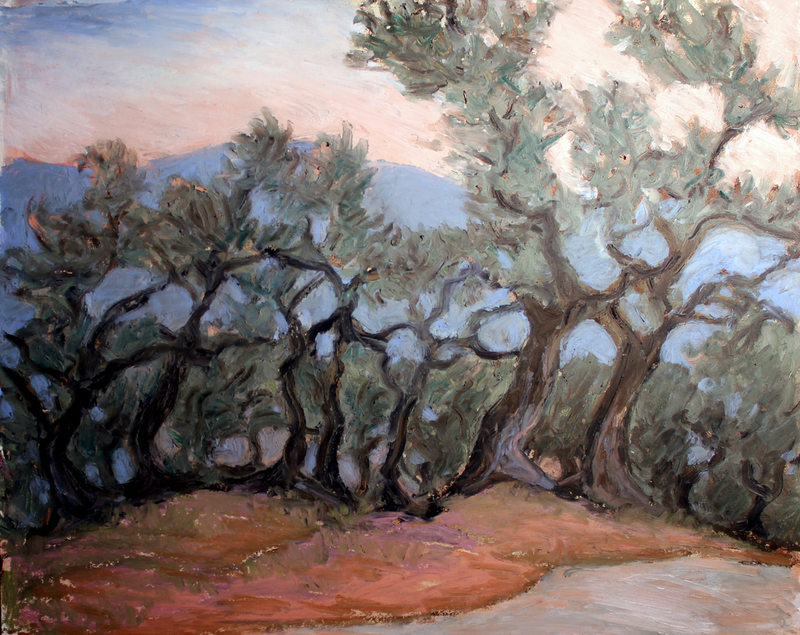 Painting, cooking class, excursions, incredible food (and wine), all inclusive. Details will be posted in a few weeks, but if you’re interested, send me a note and I’ll make sure you’re notified. Home again. Two fantastic weeks…action packed! Our adventure has come to an end for now, but our friendship with the people of Ciociaria is just beginning. Enjoy this brief look at Ciociaria for now, but stay tuned for more Italian adventures, right here! View from Paliano. Weather in the 80’s, breezy and warm at night. Jon arrived today from Berlin. Tomorrow to Acuto, Trevi nel Lazio, to look for more painting spots. Giovanni Osenni. 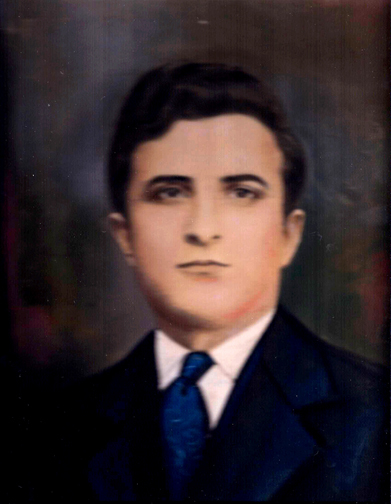 Born in 1889, in Rome, abandoned or given to a family in the country to raise, our family legend says he was born to a wealthy young woman, perhaps a member of the Orsini family. His father was said to have the surname Marconi. This story was based on the names on his birth certificate, which he was somehow able to obtain after WWII, as reported by my Aunts, my father’s sisters Antoinette and Lydia. Alas, the birth certificate was lost again, here in the states! My search to find it began in 2006 when I found online a geneological researcher, Ann Tatangelo of “Angel Communications”–helped by an angel! When Mike (my husband) had a week’s work in Rome that year, I accompanied him and met Ann and together we visited villages in Ciociaria, where we knew Giovanni had lived and worked, since that’s where he met my grandmother, Annuniziata Grilli. During the search for Giovanni’s birth records, we found my grandmother’s information in the village of Piglio. We found the house where she lived as a girl and one of the elderly neighbors there told us that we had cousins just up the street! We surprised them with a visit, which is when Giulio and I met for the first time. 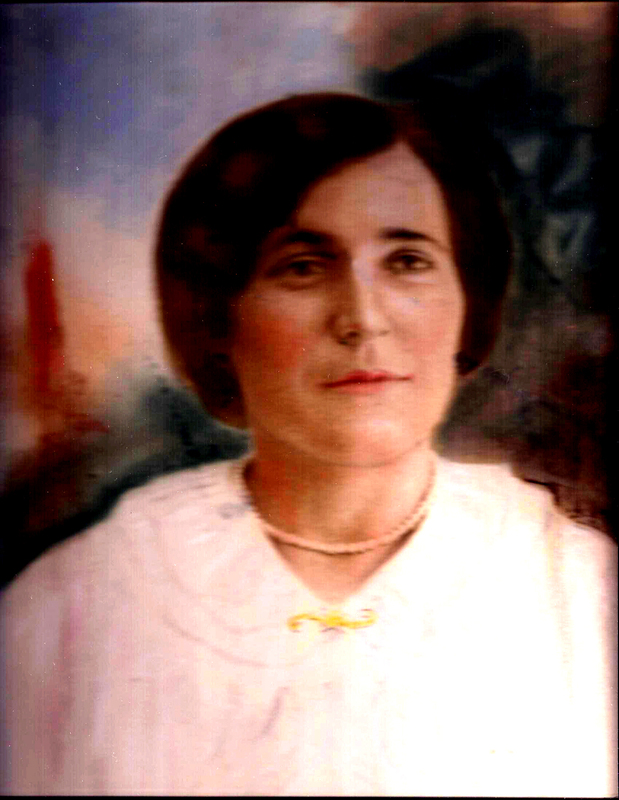 Annunziata Grilli was born in Ferentino and moved to Piglio with her parents in 1893. She was one of 9 children. Only she and her brother Guarino emigrated to the states (1919 for her). She left Italy to marry her childhood sweetheart, Giovanni–and they did marry, at Ellis Island! The remaining siblings stayed in Italy, and Giulio’s branch of the family are descendants of my grandmother’s sister Francesca Grilli, my father’s Zia Francesca! 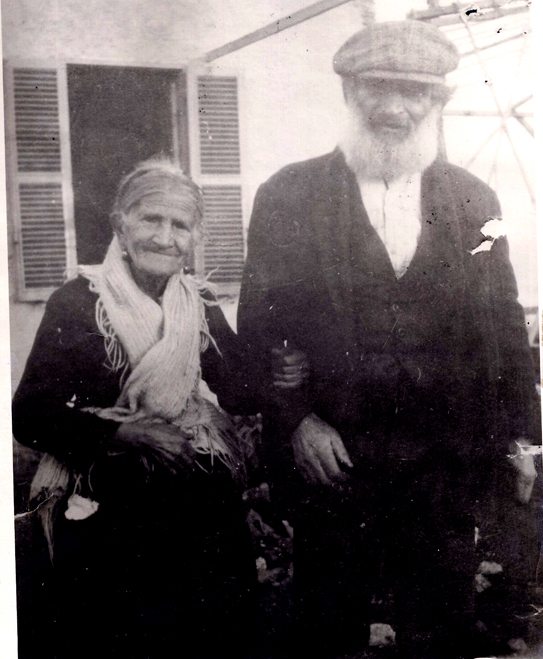 Annuniziata’s parents, the common ancestors of Giulio and me, were Giancinto Grilli and Antonia Angelisanti. (Another angel!) The Grillis lived in a little house at Ponte Gattone in Piglio, and it’s where Giulio’s great-grandmother, Francesca, remained for her whole life. Giancinto was said to be a tall redhead, certainly unusual for this part of Italy. One of the neighbors we met told us that he had his own little wine “cantina” where the local wine, Cesanese, was sold. Fast forward to 2011, here are Giulio Tirinelli and me, in the midst of planning our workshop! Looks stressful, doesn’t it? 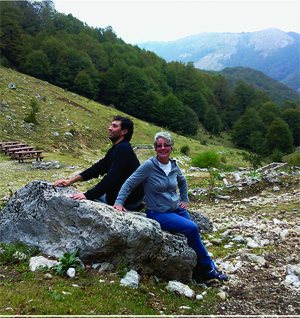 We are at the National Park in the Simbruini Mountains, surrounded by the beautiful and rugged landscape of Ciociaria. 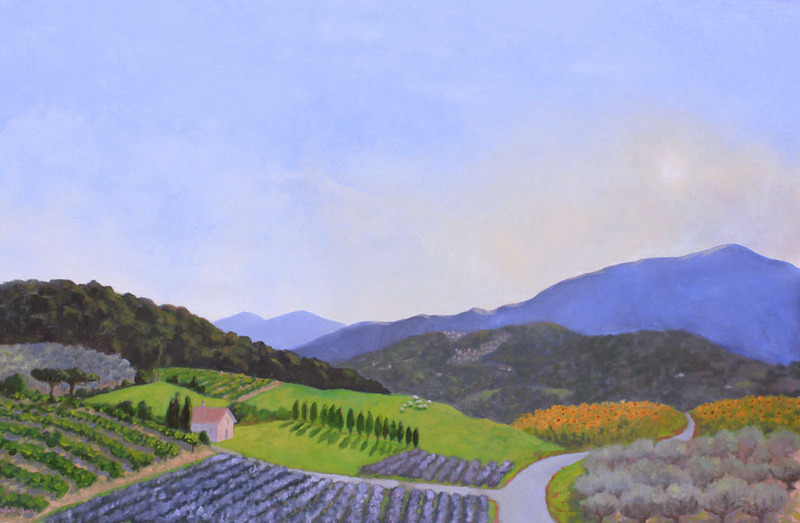 We hope to inspire our painting guests with the landscape, not to mention the food, wine, and warm people whom they will meet there in the next two weeks!